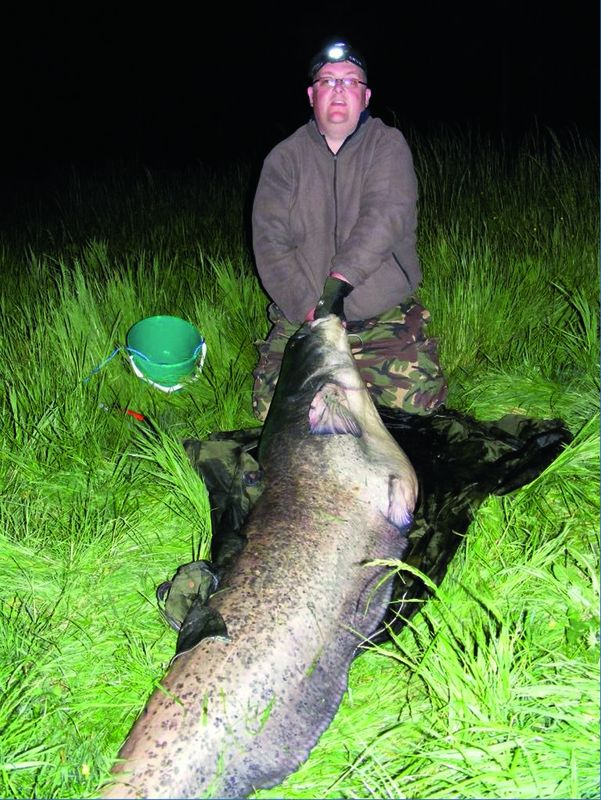 Britain’s heaviest freshwater fish – this 145-pounder! 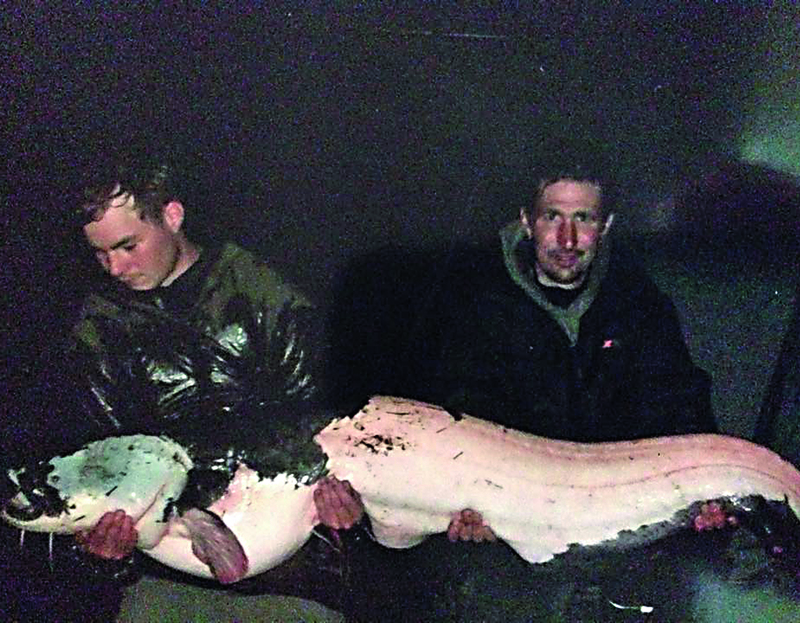 MATTHEW SMITH (pictured below, left) has beaten the unofficial British catfish record with this 145 lb giant during a pike trip. 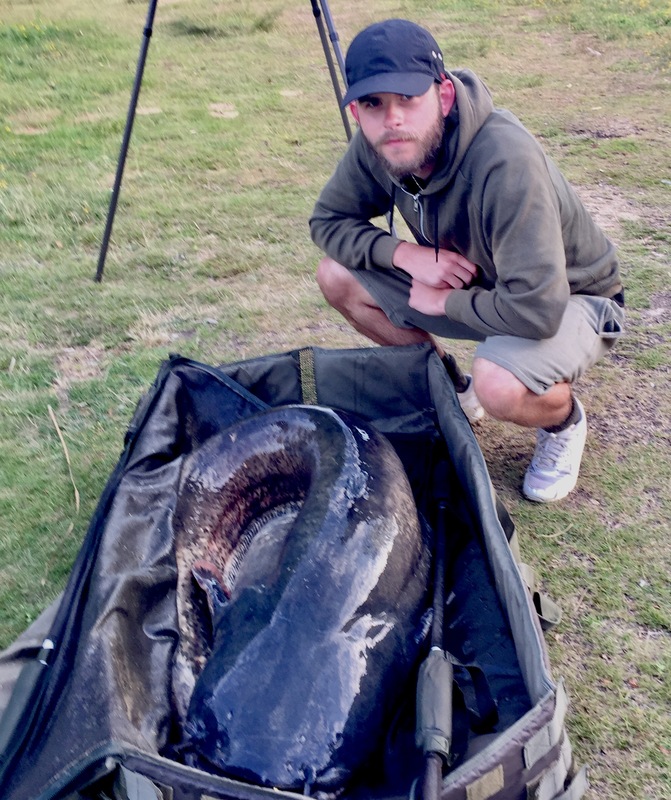 Thought to be Britain’s heaviest freshwater fish, it came from the same Essex complex that produced the previous best of 144 lb in 2012 to chef James Jones. But the British Record Fish Committee don’t have a catfish category any more so Matthew can’t put in an official record bid. 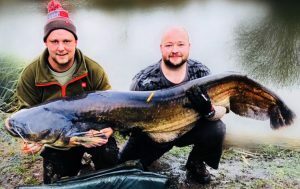 The 33-year-old driver, from Biggleswade, Bedfordshire, encountered Britain’s heaviest freshwater fish during a session at Oak Lakes, near Southminster. He told Angler’s Mail : “It took around 55 minutes to land and fought like a demon on the Predator Lake. “I was using a 3 lb test curve rod with 20 lb line and a single barbless treble with a legered livebait. “It grabbed my bait on the way in and set off on a colossal journey that took me up and down the lake. “I basically had to let it run when it wanted to and get line back when she let me. 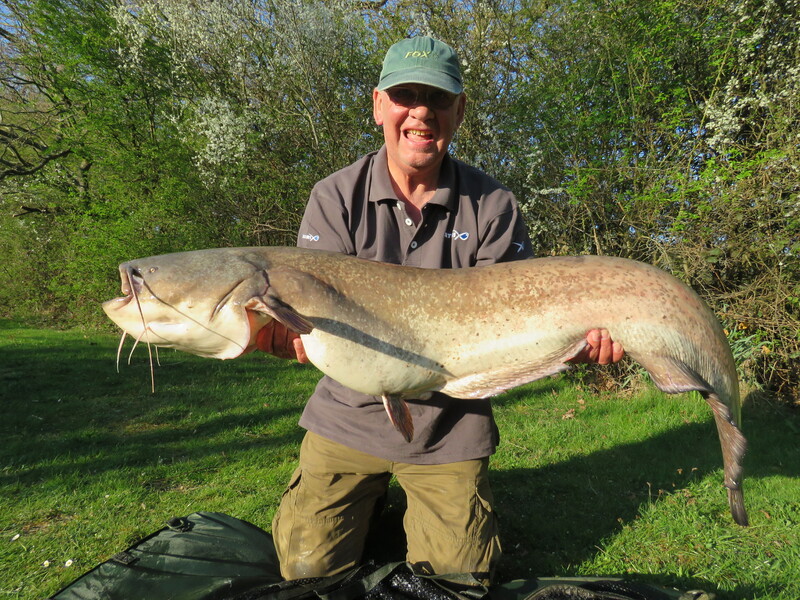 “After getting it up on the bank we realised that this catfish was a bit special and, after bottoming my 120 lb scales, we reweighed it using bigger scales and it turned them round to 145 lb. 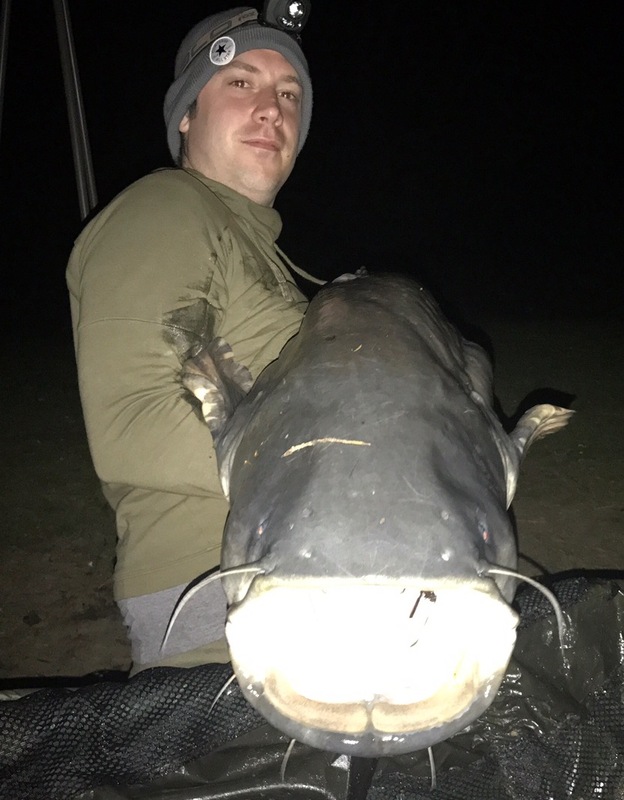 “My biggest fish before this was a 75 lb cat I caught in February last year and have caught numerous 50 lb fish, which is not bad considering I’ve only been targeting cats just over 18 months. “My mate Gareth Jakes was a big help netting and getting in the water to help land her so I’d like to say thanks to him,” concluded Matthew. You’ll then get Angler’s Mail magazine delivered to your door, or the door of a friend/relative. And it’s at discounted rates… to suit all pockets. There are great deals for the print version and the digital version too. 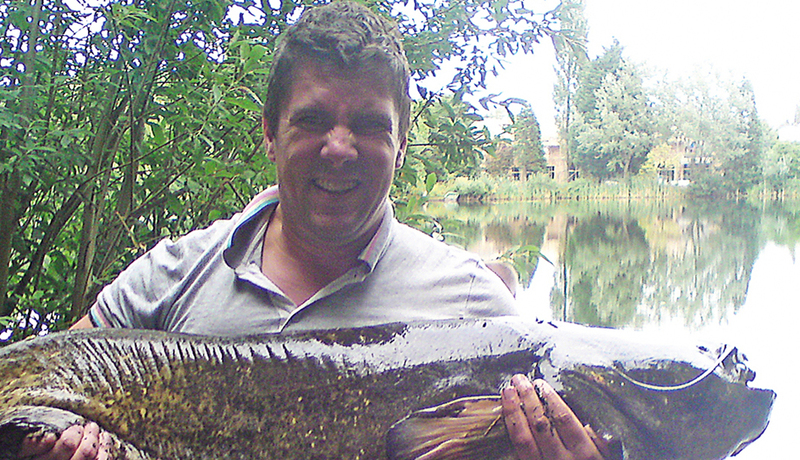 Record catfish… Big Bad Barry! 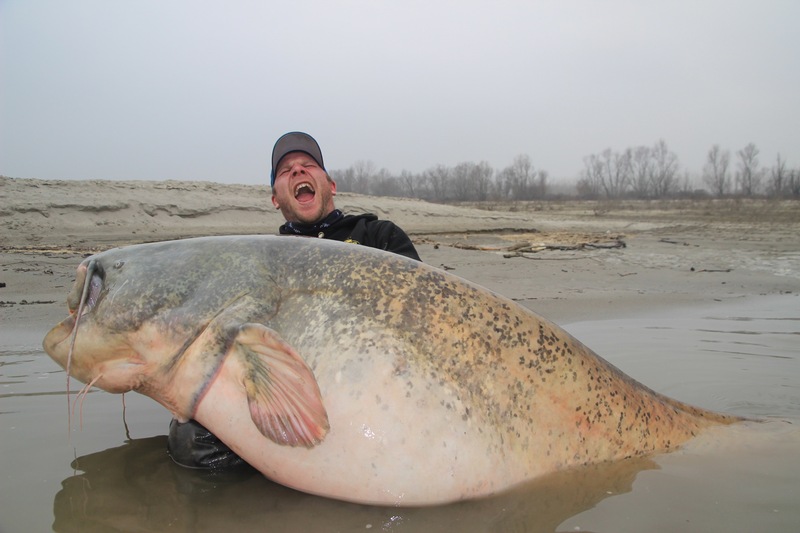 Lake record catfish slams the scales to 117 lb 11 oz! “Record cat” alive and 83 lb! Catfish – now a native species in the UK? GURU ANGLING TRUST ENGLAND U15’S TEAM & TALENT PATHWAY NEWS!